The RITM SCENAR® personal devices are designed to deliver general therapeutic non-invasive therapy to the body’s physiological systems via skin areas, in order to effect pain management and pain relief. This online training describes the main features of the RITM SCENAR® Personal Devices – SCENAR Home, SCENAR Sport and SCENAR Sport D, their purpose and operation, as well as how to effectively treat painful common complaints. This online course provides detailed information about the basic principles of SCENAR Therapy, General and Local Treatment Zones, Additional treatment protocols for acute and chronic pain. 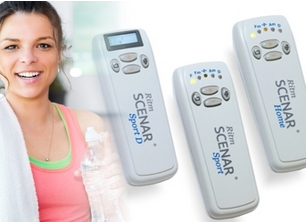 Your purchase of your Personal RITM SCENAR device and training through an Authorised RITM SCENAR Distributor entitles you to a FREE 12 months subscription. Please contact your distributor for login details. 12 months FREE unlimited access for the online course for customers of RITM Australia and their authorised distributors. $350 per person -If you have not purchased your RITM SCENAR professional device through an authorised distributor, a 12 month online subscripton is available for AU$350.